When I first moved down here in the real desert, the lizards were these teeny little dark shadows that flitted over and around small rocks and pebbles. Now the little fellers are getting bigger and longer, and scrambling over stones and the odd smallish boulder. They must also be that bit slower as I can see them easily. The tiny shadow lizards moved so quickly that they seemed to be an optical illusion. A lighting fast streak of shade that disappeared before your eyes could focus on the small creature. Now they stay in view long enough that even without glasses they can be seen. These are not the only desert denizens that are making regular appearances. Something that looks like a rat, but prettier, darts across the roads and can be seen very easily. These bold creatures will stay in the shade of a small bush and watch you pass. Monsieur Rat, or mouse, is around six to eight inches long, not counting his tail, and while not as cute as the chipmunks that scramble over the boulders that line the road, they are not ugly by any means. After being here for a couple of months, where there has been no previous sign of them, buzzards are now regularly circling the hard pan on either side of the road. One persistent chap kept dropping down to the scrub brush along the washes. Presumably the “dead” animal he was going after was not quite ready to be put on the menu. There are, however, a great many new items alongside, and on, the roads from rats to lizards and the occasional rabbit. As it is spring, baby bunnies are hopping around the area. The cute creatures are not as numerous as the ones back in Suffolk. In the English countryside, there were always plenty of the tiny things clumsily jumping here and there, wide eyed and (sorry) bushy tailed learning about their world. The desert bunnies are obviously the offspring of the huge jack rabbits that call the hard pan their home as even though they are “babies” they dwarf their British relatives. The appearance of the buzzards, or vultures, I can never remember which of these huge carrion loving creatures live in this part of the world, is a reminder that death is never too far away for denizens of the real desert. On the way home from town yesterday, as the sun dipped slowly behind the surrounding hills of Quartzsite, I found the police had closed off the only road open to a bicycle. The cars could take the alternate route via the Interstate, but my two-wheel self-propelled vehicle could only take the route in front of me. One of the on-scene officers explained that the road would be closed for at least another two hours. Looking ahead I could see two motorcycles on the right hand side of the road. One looked as though it had been damaged, the other did not. Pointing to the left side of the pavement, I asked if walking my bike through on that part of the road’s narrow shoulder was acceptable. As I pushed my bike up the small grade, the two motorcycles came and went whilst I tried not to be too morbidly curious. Glancing over, once or twice, I could see that one bike had hit the boulders on that side of the road with enough force that it buckled the front wheel and twisted it to the left; until it was almost completely back under the petrol tank. A lone helmet lay on the small shoulder of the two lane road just in front of the large rocks. On one big boulder in front of the abandoned safety item a blue arrow had been spray painted. It pointed up. At a wild, and most likely over-imaginative, guess? It looked like the rider went airborne at the point of impact. Later, as I neared my destination, a couple who had been driving pulled up beside me and asked about the blocked road. I explained about the bikes and added that I would not be surprised if the accident had ended in a fatality. They were not impressed with the thought of a dead biker but then, they were both of an age where impending death is not so much a concern. To this older couple, death looked to be just another all too close step in their own personal journey. Being a sprightly young thing in my late 50s, I still struggle with the inevitable advent of my rapidly approaching mortality. Toe-besity? Plastic Surgery for Fat Tootsies. What the Fudge?? Looking out for the weird and outlandish on the net and…What? You don’t do that? Well, I do, okay? And the latest thing I’ve discovered is the new trend in plastic surgery. It appears that American’s have discovered the one part of the body that, up to now, has been safe from the surgeon’s scalpel. 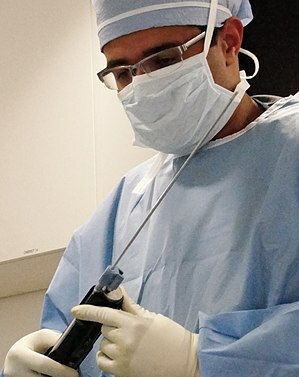 According to Dr. Oliver Zong, a New York based Plastic Surgeon, ‘toe slimming’ operations are on the increase. 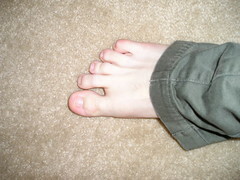 He admits he was a bit taken aback when people starting asking for plastic surgery on their toes. Not all plastic surgeons are willing to perform the procedure or even willing to contemplate it. Some have told horror stories of women who want their little toes surgically removed so they can wear a smaller shoe size. Did I forget to mention that this new trend has been started by women. That’s right. Women have now gotten so paranoid about their entire body that they are resorting to plastic surgery to remould themselves into a complete package of perfection. I don’t get this. I really don’t. I know that culturally the focus has been on people looking ever younger, trimmer, fitter, prettier. The big lie is that we can all reach this pinnacle of perfection with the help of a surgeon’s knife. How stupid can people be? We know that pictures in magazines are airbrushed within an inch of their 2D life. Advertising, the modelling industry and Hollywood perpetuates the myth of the perfect person. Capped teeth, hair implants, tummy tucks and bottom lifts all help to make folks look more stream-lined and assembly-lined. But when folks start worrying about their toes? I think we all need to step back a bit and really look at each other with a bit of clarity. I’ll use Hollywood as a good example. Not the Hollywood of today with it’s new homogeneous stars who are practically interchangeable like so many Lego’s. I’m talking about the stars of yesteryear. The Gary Cooper‘s, Clark Gable‘s and Errol Flynn‘s. The Katherine Hepburn’s, Bette Davis‘s and Grace Kelly‘s. These stars did not look perfect. It was their imperfections that made them special, that made them shine. Gable’s ears were too big, Davis had bulgy eyes and Grace Kelly was a little small upstairs. But none of that mattered at all. It was their abilities and persona’s that made them beautiful. Perfection has never been obtainable for the average person or the famous one. Perfection is, to a degree, like beauty. It is in the eye of the beholder. In the search for perfection the beholder is the person seeking to be perfect. Their narcissistic and inward vision is skewed and terrible. They are willing to put their bodies through pain and possible infection and even death in their ridiculous pursuit. I am sitting here writing this and wondering whatever will be next. Will tongue surgery be next? Are there people out there that are so neurotic that if they believe their tongues are too fat or ugly will have them surgically altered? I am appalled at the idea that women have become so superficial. I am also quite sad that so many folks believe the lie of perfection. Author Mike's Film TalkPosted on July 14, 2012 Categories BlogTags Bette Davis, Clark Gable, entertainment, Errol Flynn, Gary Cooper, Grace Kelly, Hollywood, Katherine Hepburn, New York City, Plastic surgery, surgery, Toe1 Comment on Toe-besity? Plastic Surgery for Fat Tootsies. What the Fudge?? Peter O’Toole: Retires From Acting – No Venus Arising? I was very saddened to read this little bit of information on the net. Still, one can perhaps hope that he is premature in his assertion that he is retiring from acting. 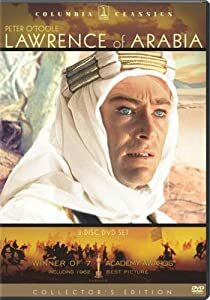 The man who shot to international stardom in Lawrence of Arabia is the same man who, after battling illnesses that would have brought most of us to our collective knees, did two films back to back while still recovering, The Stuntman and My Favorite Year, oh and taking time out to do a mini-series in between. And just when I thought that Peter would be relegated to those supporting smaller roles that is the perpetual home of older stars, he did Venus. Venus, a complete British Comedy/Drama was filled with ‘old’ thespians and it was a brilliant film. It gave Mr O’Toole his eighth Academy Award nomination (he lost to Forest Whitaker) making this his eighth nomination with no win. He has been awarded the ‘life-time’ achievement award, which he initially declined until his children told him off for it. I can only think that the ‘hallowed’ Academy thought that Peter was going to die, that is generally when they finally unbend enough to award someone who has been overlooked for years. That O’Toole is beyond talented is obvious. The strength of his performances are astonishing. He has never, to my knowledge, given a lacklustre performance. When I think of his voice, that wonderfully mellifluous voice that I would kill to have, I get goose bumps. His voice and his way of speaking his lines has developed into a sort of musical cadence as he aged. It is almost like a signature, one that allows you to immediately know without looking that it is O’Toole. But I did not fall in love with Peter O’Toole as an actor until I saw him in a small comedy directed by Richard Benjamin, My Favorite Year. Playing an ageing movie star who agrees to do a mainstream comedy variety show to pay his tax bill. The star is a raging alcoholic and does not realize that the show will be broadcast live. The pathos. comedy, sadness and courage that O’Toole gave his character made this film an unforgettable experience and shot the film to the lead of my favourites. 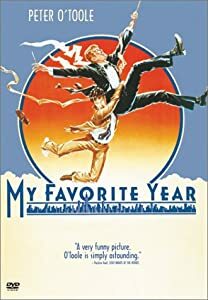 Based on real events (I think the star in question was Errol Flynn and the show was Sid Caesar‘s) the ending never fails to give me a lump in my throat. Peter O’Toole has suffered illness and a battle with the bottle his entire career. The effects of both these have left him lean and aged, like a worn out whippet, but the power is still there. The ability to rise above his age and illness and still give the kind of performance that shines. Watch Venus, at 73 he still has the ability to tug the heartstrings and make us chuckle, almost at the same time. So Peter O’Toole has finally had enough. The acting world should put on black armbands and fly their flags at half-mast. He may be “down but not out” but let’s just hope that maybe he can be enticed to act again for the right role. I would still like to see him earn his Oscar properly, as I am sure he would, and not just have the conciliatory one the Academy farmed out to him. Author Mike's Film TalkPosted on July 11, 2012 July 11, 2012 Categories Blog, World NewsTags Academy Award, entertainment, Errol Flynn, Forest Whitaker, Katherine Hepburn, Lawrence of Arabia, Lion in Winter, My Favorite Year, Peter O'Toole, Richard Burton, Sid Caesar, Stunt Man, VenusLeave a comment on Peter O’Toole: Retires From Acting – No Venus Arising?